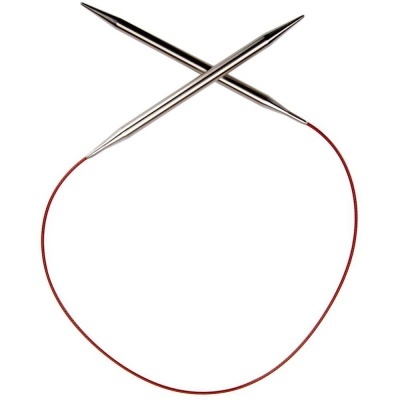 These RED Lace Stainless Steel Circulars are made of surgical-grade stainless steel, with flexible, multi-strand, steel cable coated with red nylon that allows your yarn to slide right over and has NO memory (which is a good thing in a cable). The spectacular tips and joins are precisely machined and are lightweight and strong. Needle size is permanently laser imprinted on each circular. 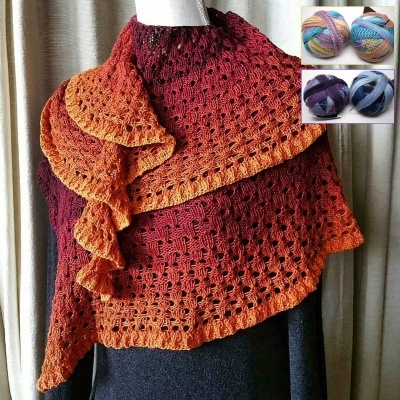 They are user-friendly to knitters who are sensitive to nickel. This is Chiao Goo's premium line of stainless steel circulars. They have been working hard to get this right for us knitters. A couple of sizes are a bit more expensive and you can see the additional cost in the drop-down menu. Make sure this menu is set as you want it before you put the needles in your shopping cart.